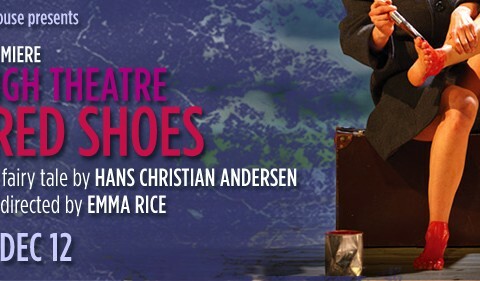 Following the success of last season’s Brief Encounter (now on Broadway at Studio 54), Kneehigh returns to St. Ann’s Warehouse with their seminal production of The Red Shoes,directed by Emma Rice and based on Hans Christian Andersen’s enduring folk tale. The Red Shoes is about a girl who cannot resist her red shoes; they make her dance with delight, spin with possibilities. But what happens when temptation becomes obsession? When she can’t stop dancing? When she can’t take them off? Surreal and sensuous, quirky and profound, bloody and bare – Kneehigh has created a fun and menacing cabaret — with muscular dancing, characteristic hi-jinks, and haunting overtones. Presented in association with Piece by Piece Productions. theatrical inventiveness and exploratory intelligence of Kneehigh. [The Red Shoes] comes closer than any other work I’ve seen to capturing the churning nastiness of Andersen’s stories.